What Is The Big Problem with Evolution? If our all-powerful God created everything, we should find the evidence for design wherever we look, don’t you think? At this time of year, pollination of flowers is taking place. The pollen from one flower must reach the pistil of another flower for a fruit to develop. This is largely accomplished by insects, especially honeybees. As the bee goes after the nectar, its fuzzy body rubs against the stamen laden with pollen. When the bee flies to another flower, the pollen is rubbed onto its stamen, pollinating it. Florida’s $45 million apple crop—the fourth largest in the country—is completely dependent on insects for pollination, and 90 percent of that pollination comes from honey bees. * Thus, you can understand why beekeepers are alarmed by the recent disappearance of vast numbers of bees from their hives across the country (called colony collapse disorder). Without these little insects, we simply won’t have $14 billion in agriculture we count on this year. Yet evolutionists affirm that plants evolved millions of years before insects. That would mean that the plants that now rely on insects for their reproduction would not have survived a second generation. It’s much easier to believe all was made by God in six days, isn’t it? the point your missing here the role of FLOWERS – yes plants did emerge before insects – then plants EVOLVED flowers and INSECTS evolved to take advantage of this – leading to the sequence described in the above link – damn you even mention flowers in your post. 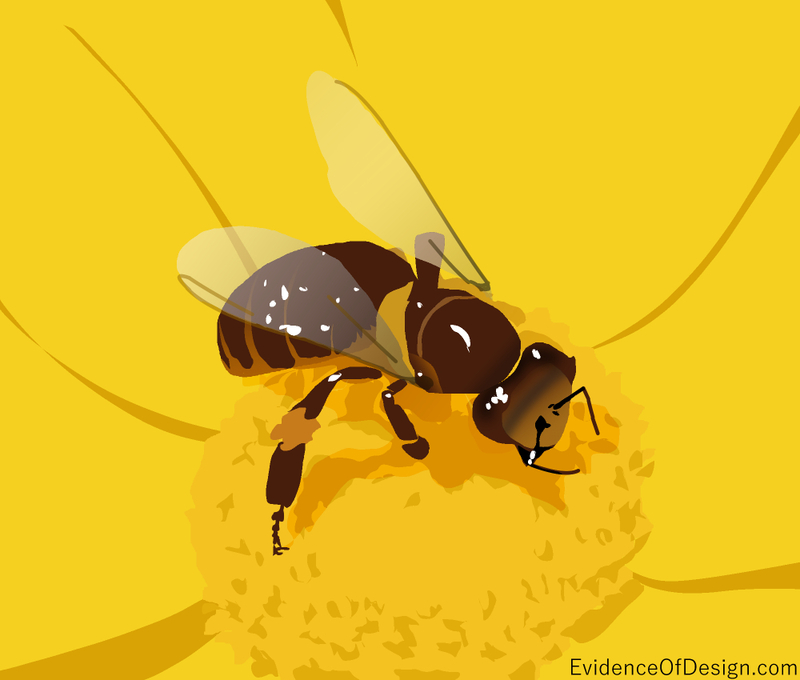 If plants evolved flowers, how did they reproduce before insects evolved pollination methods? Also, how did the flowers reproduce in between asexual reproduction and flowers? And on the “flaws in your creationist based reasoning”, the flaws in evolutionist based reasoning are much bigger and harder to explain.